This afternoon is Game #163 at Dodger Stadium at 1:09 PM. Walker Buehler will face off against German Marquez. The game will be broadcast for all to see on ESPN. Jon “Boog” Sciambi and analysts David Ross and Rick Sutcliffe will call the Rockies at Dodgers telecast. The game is also available on the ESPN App. You may also listen to the game on AM 570 (English) and KTNQ 1020 AM (Spanish). BTW, tickets are apparently still available. Go here. This Day in Dodgers History: In 1946 the very first playoff series to determine a league champion is played between the Dodgers and Cardinals. Today is Game 1 of a three game set and is played in St. Louis. Unfortunately, Brooklyn would lose Game 1, 4-2, and lose the series a couple of days later at home, 8-4. In 1974 Dodger reliever Dr. Mike Marshall set a Major League mark when he made his 106th appearance of the season. In 1993 Mike Piazza set a Dodgers new record for RBI's in a season for a rookie when he plated his 107th run during an 8-5 victory over the Astros. Happy Birthday, Duster Mails, Jim Russell, Fred Kipp & Roberto Kelly! Via Rowan Kavner at Dodger Insider; "Kershaw ranks in top five on most popular player jersey list of 2018." Cody Bellinger is also #15 on the list. This is cool. Per Yahoo Sports; "Dodgers fanatic on receiving end of yet another important home run." Catching a home run at a baseball game, let alone even receiving a ball requires a great amount of luck. 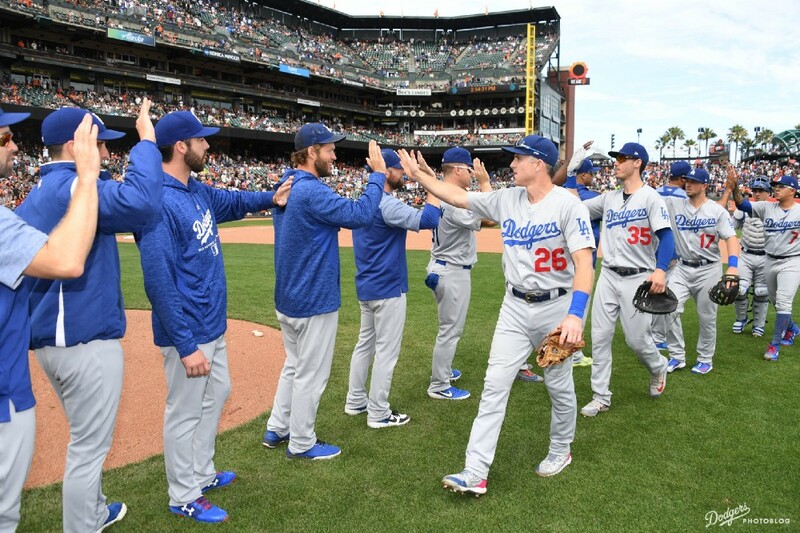 For Dodgers fan Keith Hupp, the process has become routine. Hupp was once again on the receiving end of a home run on Friday night at AT&T Park when the Dodgers took on the San Francisco Giants. ICYMI: Via Connor Byrne at MLB Trade Rumors; "Angels Manager Mike Scioscia To Step Down." 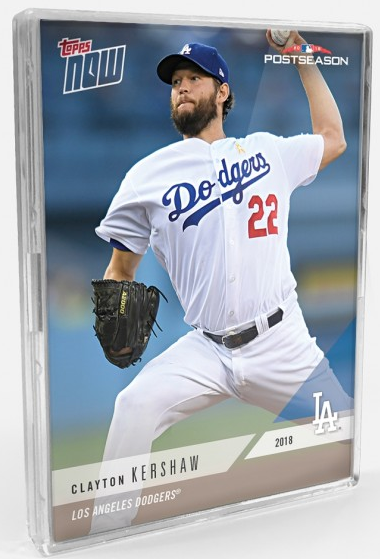 BTW, with this weekends playoff berth Topps has issued a 2018 Topps Now Dodgers' Postseason 15-card set, and it is available for order right now over the next week. Go here to check it out. A version that includes a random autograph card is also available here. You can get a Kershaw, Machado, Muncy or Verdugo card. Via Bill Plunkett at the Daily News; "Dave Roberts, Dodgers don’t sound eager to part, but manager’s contract status is uncertain." “We have a really good working relationship,” Dodgers president of baseball operations Andrew Friedman said this week. “I think both sides expect to work together for a long time. We’ve had conversations and I think it’s one of those things where all of our focus is on winning a championship and picking that up when we get to the offseason. #Dodgers Rich Hill said he made an adjustment in his windup before this start after Chase Utley, sith lord of baseball's dark arts, told him he was tipping his pitches.